Dr. Sigal Klipstein, M.D., F.A.C.O.G. Dr. Klipstein is a graduate of the University of Chicago Pritzker School of Medicine. She is board certified in obstetrics and gynecology as well as reproductive endocrinology and infertility. She holds fellowships in infertility and medical ethics. After completing a year at Northwestern Memorial Hospital, she continued her studies with a residency in obstetrics and gynecology at Beth Israel Deaconess Medical Center and Harvard Medical School in Boston. 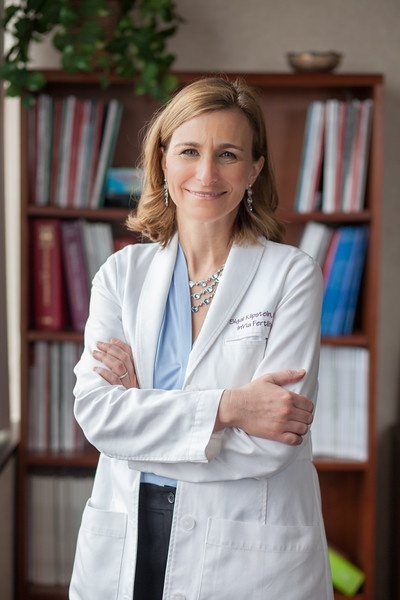 She completed a Fellowship in Reproductive Endocrinology and Infertility at Boston IVF and Harvard, as well as a Fellowship in Medical Ethics at Harvard University. Dr. Klipstein has published widely, writing numerous articles in medical and ethics journals. She has also authored several book chapters and presented at numerous medical conferences. She has lectured on the ethics of infertility, stem cell research, cloning, and preimplantation genetic diagnosis to medical students, physicians, and community groups. She is fluent in Spanish and Hebrew. Jane Brody’s New York Times article “Overweight and Pregnant” (July 7, 2014) features extensive quotes from Dr. Klipstein. You can learn more by viewing her full curriculum vitae, watching her video below, or by scheduling an appointment today!